Part number: 8Z0857740D. Hatch/Estate etc:Hatch 5 Door. 1 x Buckle. Position on Vehicle:Rear Left. Year of donor vehicle:2002 (2000-2005). Part number: 8Z0857740D. Hatch/Estate etc:Hatch 5 Door. 1 x Buckle. Position on Vehicle:Rear Right. Year of donor vehicle:2002 (2000-2005). 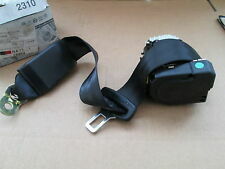 Audi A2 Rear NS Left Seat Belt Black. Donor Car: 2002 Audi A2 1600cc Sport. The New and Used Audi Parts Specialist for all Audi models worldwide. It may fit others. Audi Part Number: 8Z0 857 805 D.
Part:SEAT BELT STALK. Item Specifics:2000-2005 - 5 DOOR - HATCHBACK - LEFT FRONT - SEAT BELT STALK. This SEAT BELT STALK was removed from a2001 car and has been fully inspected. A2 2000 -2005 Mk1 (8Z) Front Left. FITS AUDI A2 MODELS 2001 > 2005. RRP £141.97 FROM AUDI. 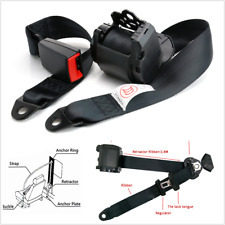 IT IS THE LEFT REAR SEAT BELT IN BLACK. Audi A2 Rear OS Right Seat Belt Black. Donor Car: 2002 Audi A2 1600cc Sport. The New and Used Audi Parts Specialist for all Audi models worldwide. It may fit others. Audi Part Number: 8Z0 857 806 D.
ALTHOUGH PANELS ARE ALL BUBBLE WRAPPED AND WRAPPED IN CARDBOARD. ONLY BUY IF YOU ARE HAPPY WITH WHAT YOU SEE. AUDI A2 - REAR LEFT AND RIGHT SEAT BELT GUIDES - PART# 8Z0857782 8Z0857781 - SILVER BOLTS. Removed from my AUDI A2 2004 1.4 - REG: DG04 EHN. PART# 8Z0-857-781 - SILVER - LEFT PASSENGER SIDE REAR. PART# 8Z0-857-782 - SILVER - RIGHT DRIVERS SIDE REAR. Very easy to fit, simply put the pointy male part through the small hole in the seat belt where the original one went through, then push on the female part on the other side where the pointy bit sticks through the belt. A2 2000 -2005 Mk1 (8Z) Rear Left. Item Specifics: 2000-2005 - 5 DOOR - HATCHBACK - LEFT REAR - SEAT BELT. Part:Seat Belt. This Seat Belt was removed from a2001 car and has been fully inspected. NS is Nearside, Left, or the passenger side in the UK. COLOUR CODE -V04 BLACK. 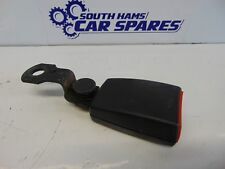 AUDI A2 2000-2005 PASSENGER LEFT REAR BLACK SEAT BELT. OS is offside, right, or drivers side in the UK. We won’t take any responsibility for the compatibility of parts unless we have explicitly said it will fit. A2 2000 -2005 Mk1 (8Z) Front Right. 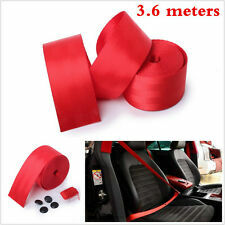 Item Specifics:2000-2005 - 5 DOOR - HATCHBACK - RIGHT FRONT - SEAT BELT. Part:Seat Belt. This Seat Belt was removed from a2001 car and has been fully inspected. Part number: 8Z2857705. 1 x Seatbelt. Hatch/Estate etc:Hatch 5 Door. Position on Vehicle:Front Left. We are breaking 100's of different vehicles, with many parts on the shelf. South Hams Car Spares. Part number: 8Z0857843. Hatch/Estate etc:hatch 5 Door. 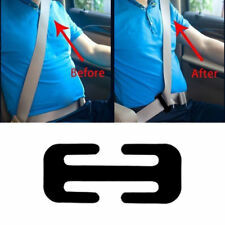 1 x Seatbelt (not including buckle). Position on Vehicle:Left rear. We are breaking 100's of different vehicles, with many parts on the shelf. South Hams Car Spares. NS = PASSENGERS SIDE = LEFT. WE WOULD LIKE TO SORT OUT ANY PROBLEMS QUICKLY. OS = DRIVERS SIDE = RIGHT. FOR RIGHT HAND DRIVE VEHICLES. IF THERE ARE PART NUMBERS IN THE ADVERT, THEY'RE THERE FOR A REASON. AUDI A2 1.4 PETROL 2001 MODEL 5 DOOR. PASSENGER SIDE FRONT SEAT BELT (PRE-TENSIONED). PAINT CODE - LY9B. INTERIOR CODE - N0G/YB. AJ SPARES is a large independent Vehicle Dismantlers. PART NUMBER - N/A. PRETENSIONER TYPE. Make: AUDI Model: A2 SE. WARRANTY: All used parts are fully tested and working before removal from the donor vehicle. Year Range: 2000-2005 Colour: SILVER. DIAGNOSIS: It is most important that you have your fault diagnosed correctly as incorrectly ordered goods are subject to Policy below. 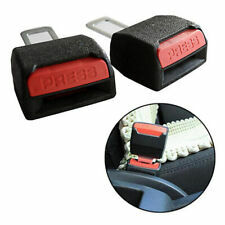 Very easy, simply put the pointy male part through the small hole in the seat belt where the original one went through, then push on the female part on the other side where the pointy bit sticks through the belt. BODY TYPE: 5 DOOR HATCHBACK. We will always help you to have a 100% positive happy buying experience. PART NUMBER PART CONDITION: GOOD. OUR REF: 1464-040419154609103. BODY TYPE: 5 DOOR HATCHBACK. PART NUMBER PART CONDITION: GOOD. We will always help you to have a 100% positive happy buying experience. OUR REF: 1464-040419154609129. NS is Nearside, Left, or the passenger side in the UK. COLOUR CODE -V04 BLACK. 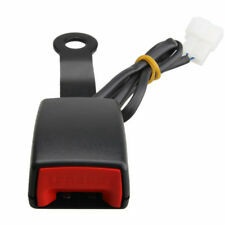 AUDI A2 2000-2005 BLACK DRIVER RIGHT REAR SEAT BELT. OS is offside, right, or drivers side in the UK. We won’t take any responsibility for the compatibility of parts unless we have explicitly said it will fit. AUDI A2 FRONT PASSENGER SIDE SEAT BELT. PART NO - 8Z2 857 705. Make: AUDI Model: A2 SE. WARRANTY: All used parts are fully tested and working before removal from the donor vehicle. Year Range: 2000-2005 Colour: SILVER. DIAGNOSIS: It is most important that you have your fault diagnosed correctly as incorrectly ordered goods are subject to Policy below. 8Z2857706 - 560788201. AUDI A2 00-2005. THE BELT IS DIRTY /OR HAS MARKS ON IT, IT WILL NEED WASHING/DEEP CLEANING! (The part number can be found on the part you're replacing). 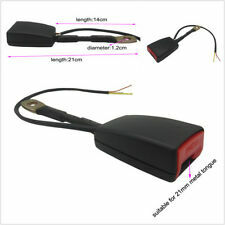 PART NUMBER All requests will be processed after we have inspected and verified the condition of the Products. P/N 8Z0857805C. REMOVED FROM 2001 AUDI A2 (8Z0) 1.4 75 HP (55KW) PETROL. 5 SPEED MANUAL PAINT CODE LY9B. We cannot be held responsible if the item does not fit your vehicle. THIS DOES NOT INCLUDE NI, ROI, HIGHLANDS OR OFFSHORE ISLANDS. 8Z2857705 V04. IN BLACK TRIM - V04. A2 2000-05 MODEL YEARS (8Z). LEFT PASSENGER SIDE THREE POINT SEAT BELT WITH BELT TENSIONER AND CHILD SEAT RETAINING DEVICE. PARTS DEPOT - GENUINE PARTS WITH GENUINE SAVINGS! AUDI A2 N/S REAR SEAT BELT. REMOVED FROM 52 REG A2 1.4 16V. so you can make a claim. 8Z2857706 / 8Z2857705. 2002 AUDI A2 1.4 TDI SE 5DR DRIVER PASSENGER SEAT BELT. USED PART WORKING FINE HAS SIGNS OF WEAR. 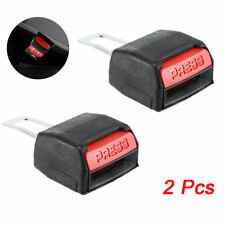 FITS AUDI A2 MODELS 2003 > 2005. 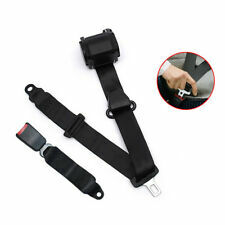 IT IS THE CENTRE REAR SEAT BELT IN BLACK. RRP £162.65 FROM AUDI. REMOVED FROM AUDI A2 2000 1.4 PETROL 5 SPEED MANUAL. Donor Car: 2002 Audi A2 1400cc. The New and Used Audi Parts Specialist for all Audi models worldwide. It may fit others. Audi Part Number: 8Z2 857 705. ONLY BUY IF YOU ARE HAPPY WITH WHAT YOU SEE. ISLE OF MAN. Item Specifics:2000-2005 - MK1 - 5 DOOR - HATCHBACK - LEFT REAR - SEAT BELT - PART NO 8Z0857805C. A2 2000 -2005 Mk1 (8Z) Rear Left. Part:Seat Belt. This Seat Belt was removed from a2001 car and has been fully inspected. 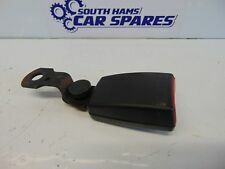 Audi A2 Rear OS Right Seat Belt Black. Donor Car: 2001 Audi A2 1400cc. The New and Used Audi Parts Specialist for all Audi models worldwide. Donor Car Colour: Bodywork is Silver LY7W. Interior trim is Grey N0G/ YB.